Looking to find, or grow further, in God's calling for you? This book explores how to live your faith in every season of life. Want a faith the flourishes in all seasons of life? Using the metaphor of a seed, Jen Baker encourages us all to nurture the promises God sows into our lives, and equips us to stand firm as we learn to understand the different stages a promise undergoes towards fulfilment. God loves to sow promises in our hearts, but they very rarely come to fruition immediately. Often they can take many years to come to fruition and too often the storms of life can rob the hope we have and we can let go of these promises. But what if these dark times were all part of the journey to fulfilled promises - would that give us hope to persevere? Through personal experience Jen Baker has learned over the years that God works in seasons, and the more that we can understand our current season, the greater impact it can have on future victories. As Jen has seen, too many people over the years give up on a promise, or abort that promise, simply because they did not understand their season. So, using a seed as a metaphor for the journey, Jen shares six key stages a promise undergoes toward fulfilled purpose. Each stage of the journey is detailed, including what to expect and how we could respond. The book weaves together biblical reflections on how Jesus' life fits this pattern, and her own personal successes and failures so that readers are inspired to view their lives through the lens of promise. With questions for readers to reflect on further, this book is a gently challenging look at how we can all live fully in the calling God has uniquely designed for each of us. 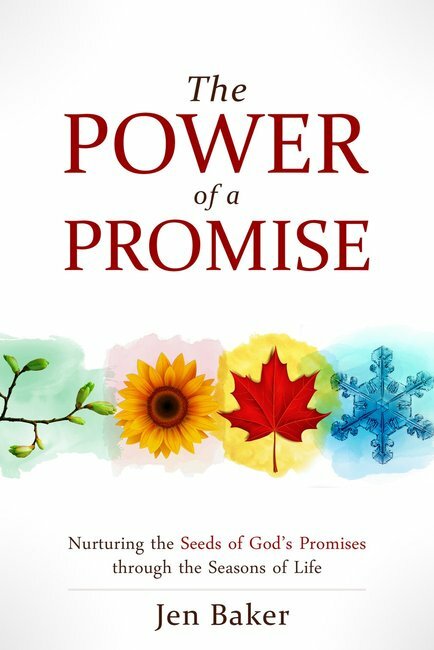 The Power Of A Promise by Jen Baker was published by Authentic in April 2018 and is our 21943rd best seller. 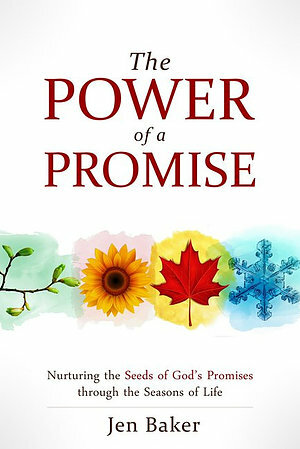 The ISBN for The Power Of A Promise is 9781780789866. I absolutely loved this book and couldn't put it down! There is treasure on every page. Jen Baker writes with such openness and honesty. Using scripture and her own personal experiences she teaches us how to nurture God’s promise over our lives. From preparing the soil to harvest she applies the stages a planted seed goes through as an analogy of how God grows His purpose in us. Even when we are sitting in a place of deep disappointment and things seem out of control she encourages us to embrace this as part of God’s growth plan to fulfil His promise. This book is full of wisdom and hope and it left me feeling renewed in both my faith and spirit. Take a peek at some articles related to The Power Of A Promise. Got a question? No problem! Just click here to ask us about The Power Of A Promise.